Although three of the performers have played this event before, newcomer Rhyne McCormick is particularly excited to be a part of this year’s show. McCormick served in the U.S. Air Force from 1987 to 1996 before launching his successful career as a performer and recording artist. The events organizer, Chris Nelson, is also a veteran of the U.S. Air Force, having served from 1983 until 2004. The band Shift Seven played the first two Sound Off concerts in June 2010 and May 2011, and Michael Anthony Smith and the Dirty, Thieving Gypsies played last year. Both of these bands have relatives serving in the military. There are only four acts this year due to a Harrisburg Senators baseball game scheduled for later that day. The event will take place during the 11th Annual Armed Forces Day Celebration and will be located at the base of the stairs leading towards the ball field. The 11th annual Armed Forces Day–the ultimate extreme military makeover–will once again return, RAIN OR SHINE, to the shores of Harrisburg’s City Island on Saturday, May 19, 2012. Armed Forces Day 2011 is a FREE, FUN-FILLED, FAMILY event that transforms City Island into a bustling military base for one day. In addition to great food, this year’s event will feature over 100 displays and equipment from all services and service-related groups including aviation, artillery, construction, employment information and recruiting booths, veterans’ resources, living history demonstrations and a wide variety of family and children’s activities and fitness challenges. This year also marks the first time that there will be an MC, Mike Randazzo who will keep things going in between performances and conduct the prize drawings. Once again, Voyager Music will be providing the audio support and PA System for the event and Dale’s Drum Shop is providing a drum set for the bands to use during the concert. Although operations appear to be winding down overseas, our wounded military veterans still need help and support to deal with their disabilities. In some cases, it may be a life-long struggle. With injury reports from Afghanistan no longer prominent in the news, wounded service members feel like they are ‘out of sight, out of mind,” Steven Nardizzi, the Executive Director for the WWP commented in a recent message to fundraisers. The show is raising money for the WWP in a number of ways. There will be a ‘tip jar’ where audience members can contribute whatever amount they wish, wrist bands which can be purchased, and raffle tickets for a large selection of prizes contributed by local community businesses and individuals. Last year, Sound Off conduced two concert events and raised over $1000 for the Wounded Warrior Project. This year’s fundraising goal is to raise $1000 during this one event. Nelson is confident that they will reach this goal. The second annual Sound Off for Vets concert was held on Saturday, May 21st, in conjuction with the Armed Forces Week Celebration on City Island, Harrisburg, PA.
Chris Nelson began playing music a quarter century ago and has not stopped since. He has written a large volume of songs, mostly under the name of his former band, Fishkill, for which he he played multiple instruments and released four albums. Some of these songs have charted high on a various Internet radio stations. After the band broke up in 2006, Nelson re-launched himself as a solo musician, leaning toward a more folk-oriented sound, while keeping the spirit of rock intact. In 2009, he released his first solo CD, Nightfall, which featured this new sound known as “Dark Folk”. Chris is the founder and organizer of Sound Off For Vets. 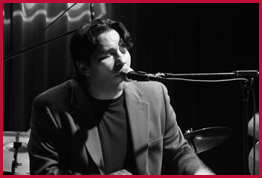 Carmen Magro is a singer-songwriter musician from Philadelphia, who performs a unique piano rock style with great originality. His soul inspiring music comes with great energy, inspires faith, hope, love and strong feeling, and is influenced by many life experiences and world events as well as stories. He is currently working with renowned producer, Arty Skye (SkyeLab Music Group) in New York City on an extended play CD project due for release very soon. Carmen was recently featured on a Philly television show where he was interviewed before performing his first released single off of that project titled “America”. He is very excited to participate in this year’s Sound Off for Vets event and will be joined by fellow band members Chuck Scarpello on bass, Rob DiSimone and Paul Morgan on guitars, and Dave Murphy on drums. A relatively new performing group, Michael Anthony Smith and the Dirty Thieving Theives is made of seasoned and skilled musicians that fuse a strong, bluesy root sound with just a touch of new wave. 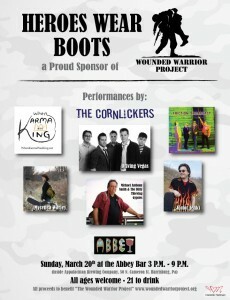 The band was recently featured during another benefit for the Wounded Warriors, Heroes Wear Boots on March 20, 2011. That event was organized by the band’s leader, Michael Anthony Smith, whom you may recognize as a disk jocky on 97.3 The River. 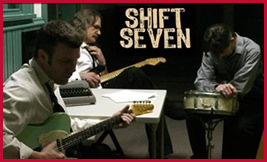 Shift Seven is a guitar-riff driven rock trio from Central PA. 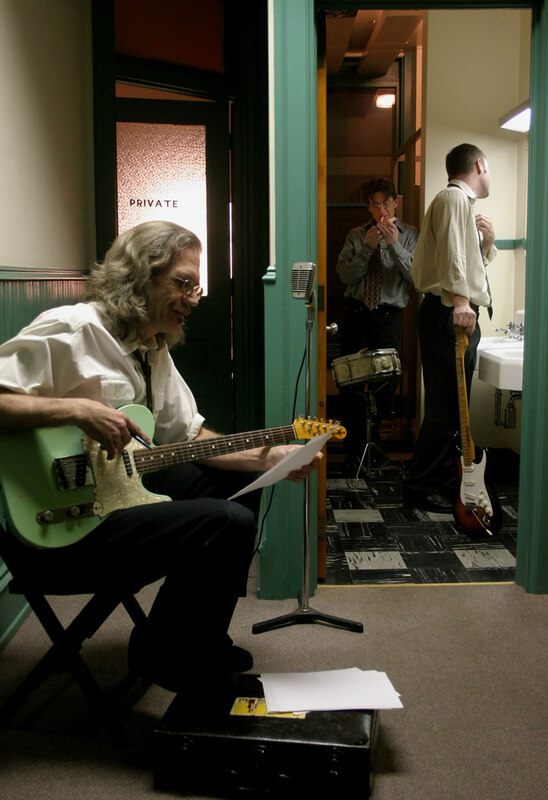 The trio has forged a 70s-fueled rock sound through years of writing and recording together. They recently finished their second studio album Love Lust for Bofa Dees Records, and it will be pressed soon. 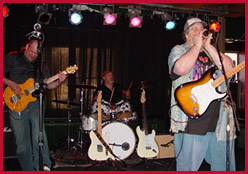 The band consistes of Terry Gayhart and Keith Myers, who share guitar, bass, and vocal duties, and drummer Rick Boltz. Mycenea Worley sings from the depths of her heart and soul. 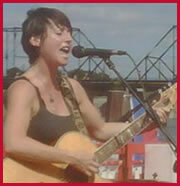 Her original music is a blend of bluesy rock and pop enhanced by her powerful vocals. She continues to charm audiences in Central PA with her stage presence and gutsy performances. 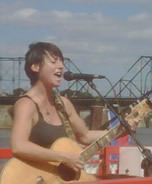 In 2009 and 2010, Mycenea Worley was voted “Best Female Vocalist” at the 717 Music Awards. Her debut EP Love is now available now and shows the scope of Mycenea’s brilliant talent. 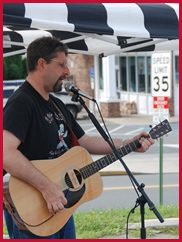 Brian Xander is a singer / songwriter from Schnecksville, Pennsylvania, who has been writing and performing original and cover tunes across Eastern Pennsylvania, New Jersey, Maryland and Tennessee for more than 13 years. 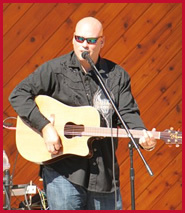 He has been the opening act for Nashville Recording Artists Neal McCoy, Josh Turner, Tim Rushlow, and Valerie Borman. He recorded an independent CD of original music entitled Oh This Thing Called Love and is currently working on his new CD, Rednax Revolution, which is due out in Spring of 2012. His website is www.brianxander.com. Driving Vegas was formed in early 2009. Front man Zach Blessing and drummer Kevin Whitaker came together to form a unique piano and vocal driven band. As they began to lay down the foundation for many of their current song list, the hunt for the remaining band members waged on. Bassist Dave Thompson was next to join Driving Vegas in late February and after filtering through a few guitarists Nate Fowler landed the gig in July ’09. Greg Guenther was last to join Driving Vegas in late September of 2009. Driving Vegas is soulful driven vocals with an alternative edge. Meshing the R&B styling of Jon Legend and the pop/rock feel of Gavin Degraw, Driving Vegas is a fresh new sound creating their own dynamic genre. Sound Off for Vets is a fundraiser for the Wounded Warrior Project, an organization that assists returning military service members re-integrate with their loved ones and overcome their disabilities resulting from a wartime injury. The event, a free concert featuring local musicians and bands, prize drawings, and fun and games for the kids. The actual shirt will be light blue. Get yours for $10 the day of the show. Dont forget, all proceeds will be sent to the Wounded Warrior Project. This is a great way to show your support to our wounded troops. Sound Off 2 Hours Extended! Sound Off for Vets has received permission to extend the May 21st show until 8:00pm! This means potentially more artists and music will be added. Please check back as we adjust our schedule in the coming weeks. 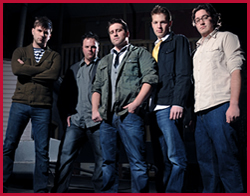 The 2011 list bands and musicians who will be performing at this year’s event has been released. The show will take place on City island during the Armed Forces Day celebration on May 21st from 11 in the morning until 4 pm that evening. Once again, the riverboat Pride of the Susquehanna will serve as the stage for this event. Sound Off for Vets will now be held in conjuction with the Armed Forces Week Celebration on City Island, which will take place on May 21. The show will run from 10 am to 4 pm on the deck of the Pride of the Susquehanna and still offer all the same activities as last year’s event did. This change should offer increased participation and generate more interest in the Wounded Warrior Project and the contributions of our military service men and women. NOTE: This article was originally published on June 25, 2010 at DAMES of PA. It was a spectacular summer’s day on City Island, Harrisburg with a festive atmosphere of food, drink, music, and relaxation. The first (annual) Sound Off for Vets benefit concert was held on June 17, 2010. The event was organized by Chris Nelson, sponsored by The Harrisburg Riverboat Society and DAMES of Pa. It was scheduled to coincide with the Harrisburg arrival of The PA Hero Walkers who walked 342 miles from Philadelphia to Pittsburgh to raise money for The Wounded Warriors Project, which also received proceeds from this event. 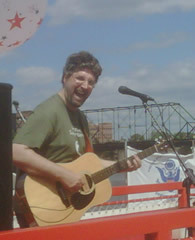 The event kicked off at 3pm with singer, songwriter and primary orginizer of the event, Chris Nelson. He performed a nice mix of original songs plus covers such as R.E.M.’s “Driver 8” and “Pink Houses” by John Cougar Mellencamp. Nelson, the organizer and primary engine behind this event, was introduced by DJ Nipsey from the rock station 105.7 “The X”. Nipsey also stuck around to introduce the talented Mycenea Worley, who performed some interesting arrangements of cover songs such as “Stop Draggin’ My Heart Around” by Stevie Nicks and “In Your Eyes” by Peter Gabriel, but really stole the show with her powerful originals “Low” and “100 Days”. At 5:00, the third and final acoustic act, Brian Xander performed a unique acoustic set that included a wide range of material from Green Day to AC/DC to some country-rock standards. His original tune about American servicemen “Standing Tall” was a definite highlight and totally gelled with the theme of this event. The first band to perform was the New York trio Fools On Sunday, featuring 13-year-old prodigy “Johnny Lightning” on lead vocals and drums. 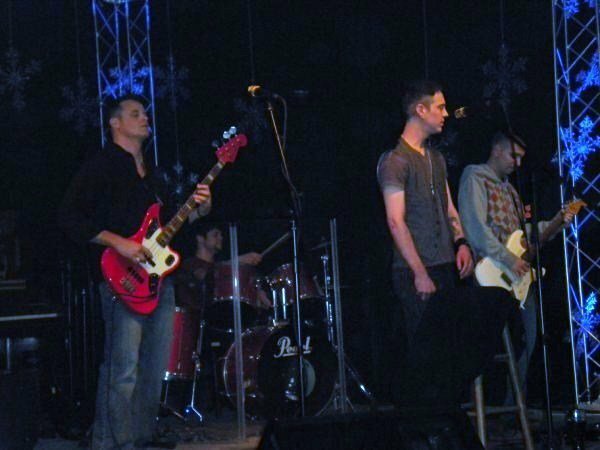 The band performed some interesting, punked-out of versions of rock standards, such as “Summertime Blues”, “I Wanna Hold Your Hand”, and “Free Bird” as well as a few originals. Another trio, Animal Society from the Harrisburg area, followed with a solid set of mostly original tunes from their upcoming album Any Atomic Lies. These included the standouts “Say No More”, “California”, and “The Lion” – a song actually written about a wounded warrior. They also adapted some unique covers such as Widespread Panic’s “One Arm Steve” and the Zeppelin rarity “We’re Gonna Groove”. The impressive Shift Seven, performed next. The three-member band has a well crafted and finely tuned sound that could be a hybrid of ZZ-Top, Lynard Skynard, and Aerosmith, or as they put it, “Acid Fried Funkabilly Blues Rock”. They performed a crisp, tight set made up of selections from their latest studio project 1.5 Days. Odd Man In? capped off the night with their original set of rock/jam tunes plus some covers that ranged from Sublime to Pink Floyd as darkness descended upon the boat and the 10:00 city curfew quickly approached. In between sets, many of the donated items and gift baskets were raffled off to attendees who contributed to the cause by purchasing raffle tickets. These prizes included a basket of wine from the Finger Lakes region of New York, passes to Hersheypark and The Civil War Museum, an autographed baseball bat, several gift certificates to local businesses, and much more. All in all, Sound Off for Vets 2010 was a success. The music was quality and entertaining, the weather was spectacular, and the setting was unique. The event had some inherent uphill challenges such as going head-to-head with Mechanicsburg’s Jubilee Day and Game 7 of the NBA Finals, not to mention it was the first of it’s kind so there was no habitual pattern of attendance to count on. But Nelson feels this was a good start and a learning experience and already has some big plans for doing it again in 2011.